The marketing word of the year, if not “video,” must be “influencer.” Not even celebrity endorsements carry the same weight as recommendations made by popular online personalities. These bloggers and social media stars have changed the way we approach social influence, especially in the food and beverage marketing industry. All indications are that influencer marketing isn’t going away anytime soon. Consumers are more likely to trust someone they know or follow than they are to believe the brand itself. As more and more brands come to terms with this reality, influencer marketing will only continue to grow. Here’s how we think influencers will impact food and beverage marketing in 2018. We’ve already seen a dramatic shift away from Hollywood celebrity endorsers to more niche-focused social influencers. Yes, celebs have tremendous boosting power, but more and more food and beverage brands are turning to influencers who feel like trusted friends. Collaborating with micro influencers who have smaller, more targeted followings can provide a much richer experience and connection with your brand than celebrities can. 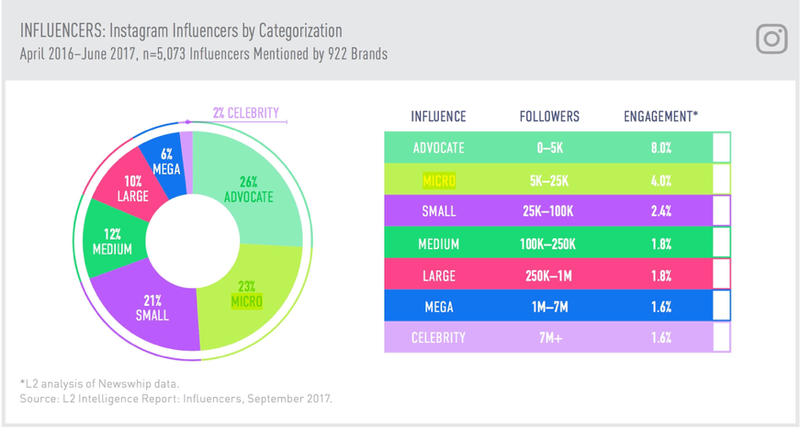 Micro influencers have the trust of their audience and the ability to inspire more engagement. In fact, the more specific the audience, the higher the engagement. In the food and beverage world, these influencers can be anyone from a cocktail mixologist with a trendy blog to a local chef with a dedicated following. Your brand may be getting in front of a smaller audience, but it will be the right audience. Food & beverage marketing will only maintain a fresh voice if influencers are allowed to be the creators of their own content. Brands that try to control the narrative will find that their intended buyers recognize the content is forced or contrived and will react accordingly. When influencers have the freedom to create their own content, they typically come up with uniquely creative and thought-provoking stories that are visual and focus on the consumer experience rather than the brand. And the brand is rewarded for it. Companies see an increase in engagement and organic reach, as buyers recognize the authenticity in the opinions and recommendations shared. Food is one of the most popular content subjects on the internet today. I can’t think of anything that consumers love taking photos of more than food. Whether liking, sharing, pinning, or tweeting, it’s a never-ending parade for the senses. 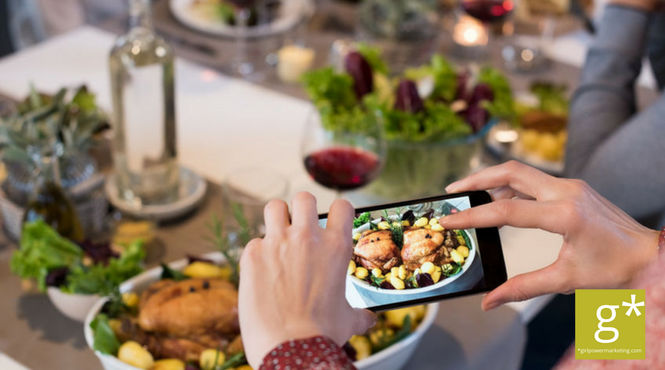 Food and beverage marketers would be wise to embrace those visual channels like Pinterest, Instagram, and YouTube that provide a platform for delivering visual content in a way that entertains and delights their audiences. Last year, SoyVay earned 40 million impressions from hundreds of Millennial influencers when they launched chicken into space, cooked it, and brought it back to Earth to eat. Because we live in an era of one-upmanship, especially on social media, we can expect brands to venture outside the norm and do something a little crazy here and there, all to gain notice by influencers. That doesn’t mean food and beverage brands must launch their products into space, but it does signal that they need to be thinking outside the box to engage their audience. Consumers love seeing content that makes them laugh or teaches them something. Recipe videos and Instagram images may be marketing’s bread and butter, but if brands want to make a splash, they need to be ready to go big and let influencers work their magic. Generating more exposure for your brand is all about reaching the right consumers with your content. What is your plan to make your mark among the thousands of brands available to consumers? If you’d like to talk about an influencer strategy for your food and beverage marketing, give us a call or shoot us an email. We’re here to help.